Environmental Services American Environmental Assessment & Solutions, Inc.
We provide cost-effective strategies that fit the clients’ budget and schedule. We take pride in the quality of our work! Our services are SOLUTIONS to your environmental problems. We first understand our clients’ project goals, and design solutions that are consistent with those goals. We tailor each Phase II investigation work plan for specific site requirements in conjunction with our client’s objectives and applicable regulatory standards. We achieve success by putting our clients’ needs first to provide a management approach that is customized to each client’s unique requirements. We maintain the highest technical & ethical standards. Quality is our way of doing business. We believe that quality work is work that is done right, on time, and on budget. Welcome to American Environmental Assessment & Solutions, Inc.
American Environmental Assessment & Solutions, Inc (American Environmental) is a leading environmental company providing environmental services and located in Brooklyn, New York. 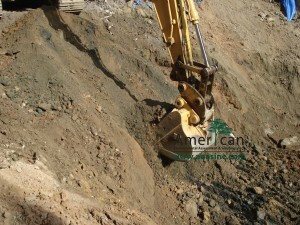 American Environmental offers a wide range of environmental services providing our customers with the safest and most cost effective solutions to all their environmental needs. American Environmental services include Phase I and II Environmental Site Assessments (ESA), soil and groundwater investigation remediation of contaminated soil and groundwater, NYC E-Designation investigation, soil sampling, groundwater monitoring and environmental compliance. American Environmental has also performed an extensive number of Phase I ESA on residential and commercial properties for Real Estate customers to evaluate its environmental condition(s) and identify any Recognized Environmental Concerns (RECs) that could be a liability or become a future liability. American Environmental Assessment & Solutions, Inc is a certified Minority, Woman-Owned Business Enterprise (MWBE) with the New York City and New York State. American Environmental is a WOSB certified business. American Environmental is a certified Minority, Woman-Owned Business Enterprise (MWBE) with the New York City and New York State. American Environmental is Certified as a Disadvantage Business Enterprise (DBE) and can participate on MTA, New York State Department of Transportation (DOT), Port Authority of New York and New Jersey and Niagara Frontier Transportation Authority federally assisted projects. American Environmental Assessment & Solutions, Inc is an approved vendor with NYCHA, NYCOER, NYCEDC, DASNY and many other State and City agencies.